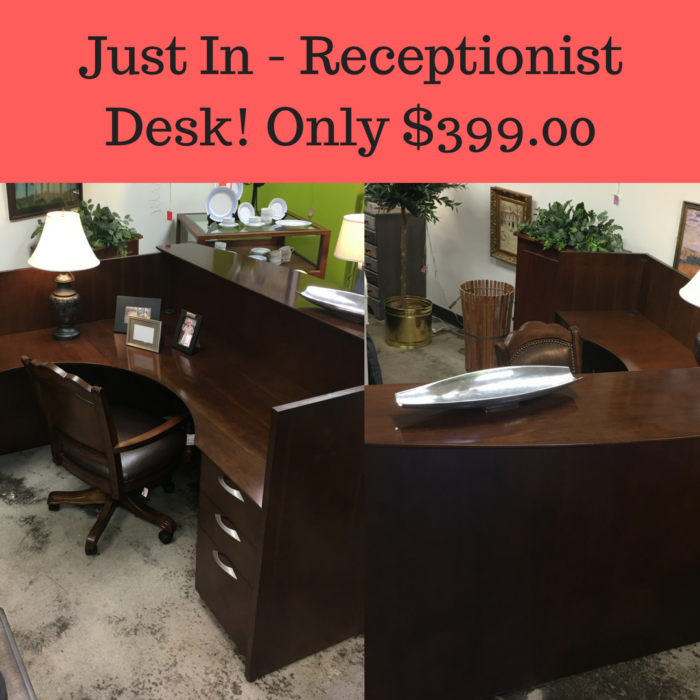 If you are looking for a receptionist desk for your office, you should come in and take a look at this one. This receptionist desk is in great shape! Darker wood color and measures 43.5″ high and is 6 feet by 6.5 feet. Comes with two sets of hanging file drawers and also a key for the drawers.